Call it the big house for china. And glass. And silver. Cocktail napkins and tablecloths. Compotes and cake plates. Samovars and soup tureens. So many of my pretties are in PODS right now—three in total, all of them in a warehouse in central Connecticut. For the past year, ever since we gave up Pine Hill Farm, I’ve been without my props. And a prop stylist without props is like milk without cookies. Daisy without dukes. Puss without Boots. But brighter days lie ahead now that Jaithan and I just bought a house! 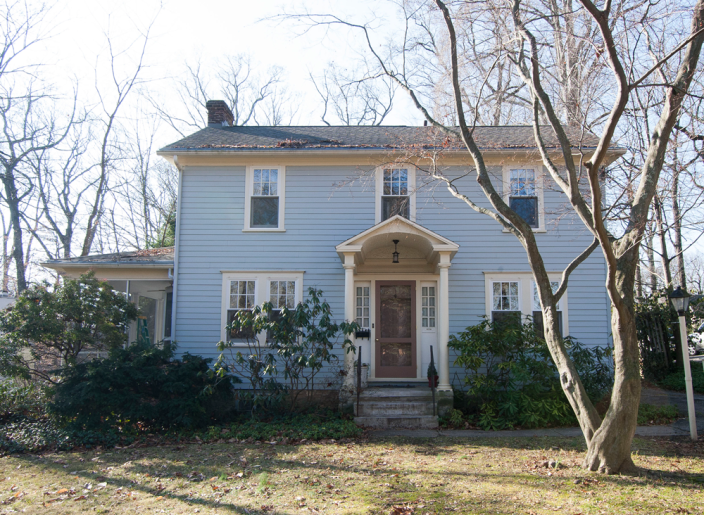 It’s a 1920s center hall colonial on the Main Line of Philadelphia, which runs northwest from the city along the historic Main Line of the Pennsylvania Railroad. Since the house is located on the perimeter of a part of town where every street is named after a different North American tree, we’ve decided to call it Edgewood Hall. The house isn’t grand, but its style and symmetry give it a stateliness I love. In fact, something tells me it’s an old Sears Roebuck home the original owners modified, but we’ll know for sure soon enough. 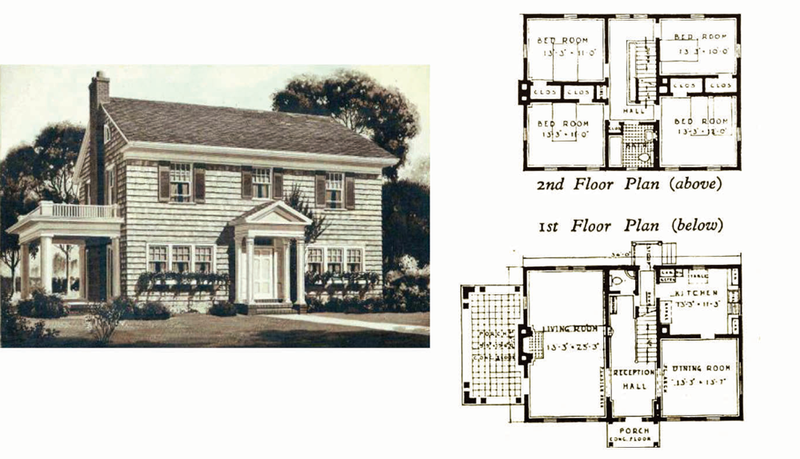 Most of the homes Sears designed were simple but built to last with fine millwork, hard woods and copper piping. You can see the resemblance to one of the styles in the original catalog. 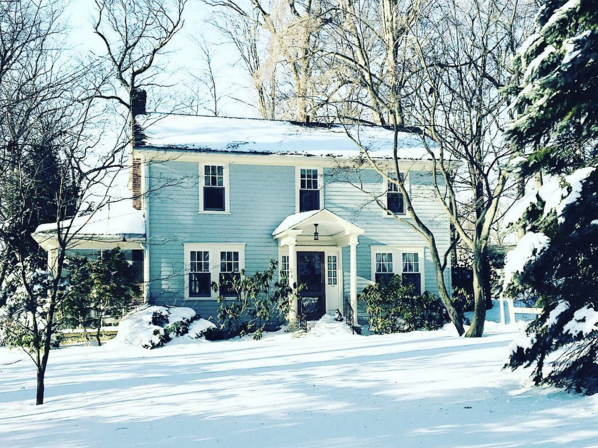 Neither of us has family ties to the Main Line but fell in love with the area after shooting a house there for Better Homes and Gardens last fall. As much as I enjoyed our little cape in Connecticut, I like a smidge more city with my country. 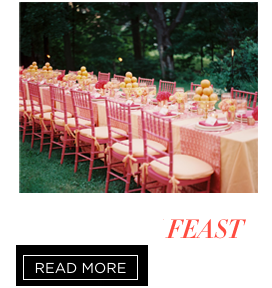 Just outside Philly, there’s terrain (the gourd-geous home and garden store in Glen Mills), artsy fundraising events like a Date with a Plate (remember this pink-and-orange number?) and King of Prussia Mall, one of the best in the country where our friends at Ballard just opened a store (Lilly Pulitzer sample sale, anyone?). 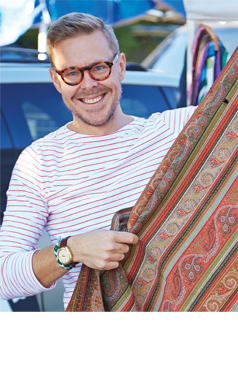 It all adds up to a charming getaway where we can shop, prop, dine and design a house our way—finally! Here’s what the exterior looked like in the 70s shortly after the most recent owner bought it. And here’s a glimpse of the interiors today. From the front door down the main hall and up the stairs, there’s peeling wallpaper over a chair rail and paneling probably installed in the 50s. 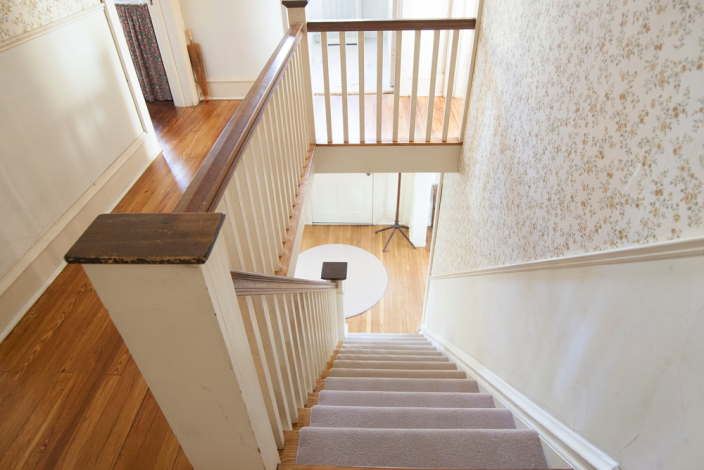 The balusters, handrail and newel post are in great condition, but that carpeting has got to go! 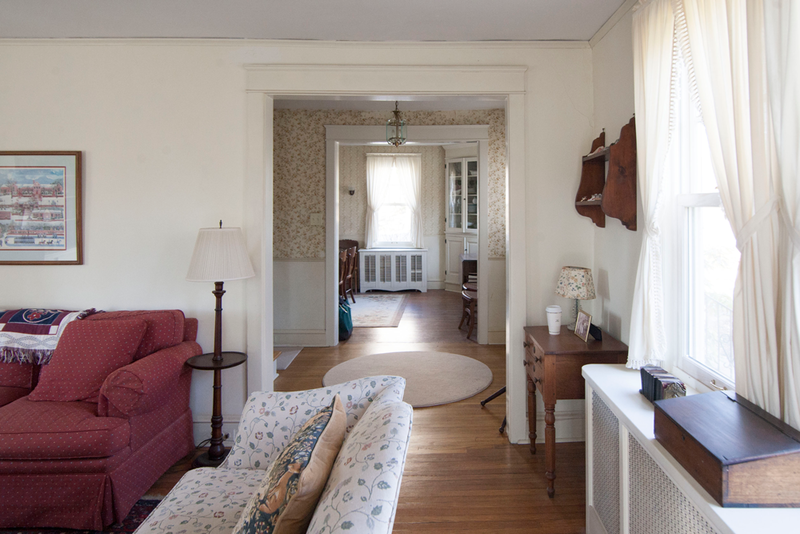 Although I love seeing all the original moldings from the living room through the entryway and into the dining room, the floors are worn through in a mishmash of stains. 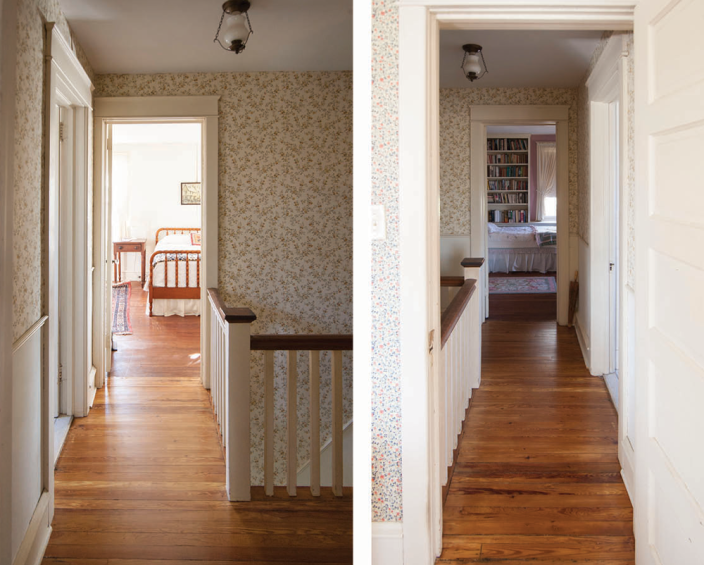 Walking through the house, you’ll notice wallpaper in every nook, cranny and closet. 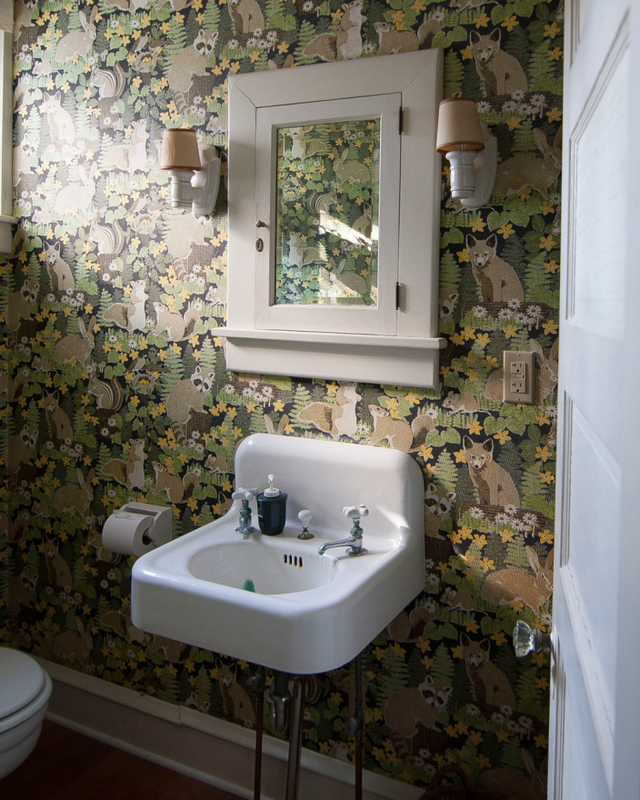 This whimsical print in the downstairs powder room was a hit on Instagram (“Are you keeping that fabulous wallpaper? !”), but it looks to be in much better condition than it is. Still, I’d love to save bits and pieces for a project giving these cute little critters new life. The most recent owner was a collector after my own heart. 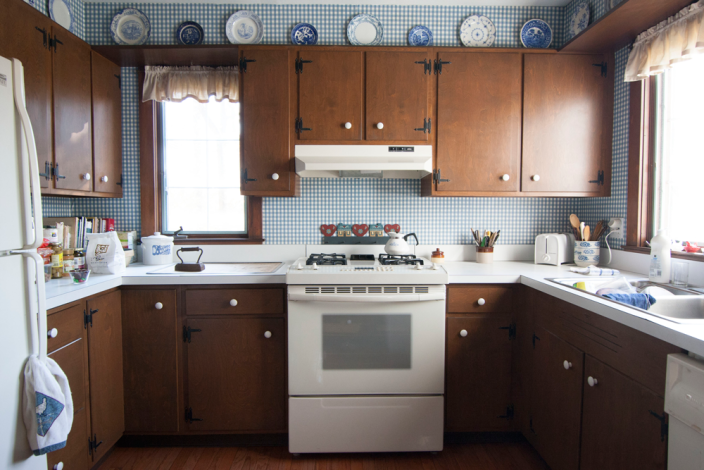 After moving in, she kept all of the original wallpaper, adding this simple gingham in the kitchen to complement her prized blue-and-white ware. 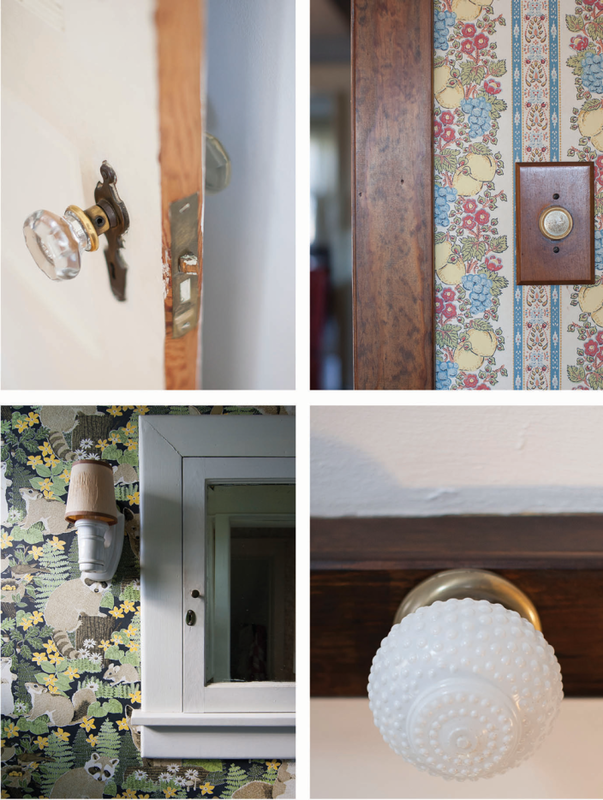 In every sconce, switch, keyhole and door knob, you can see—and touch—this house’s history. …to dueling views across the hall from the two front bedrooms. 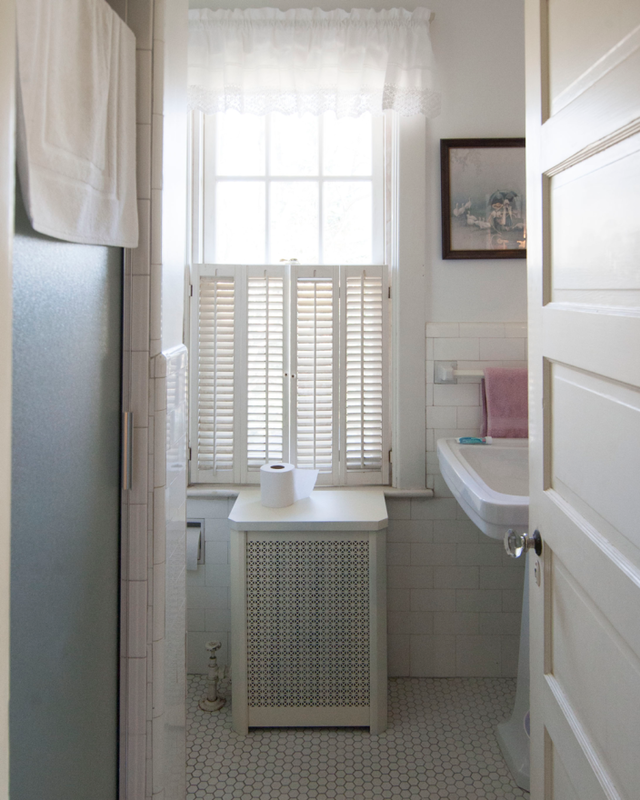 Between them, at the very center of the house, an earlier owner installed this bathroom, darkening the hall completely. I have dreams of turning this area into a cozy nook lined with books that inspire me and a bench for reading, doodling and staring out the window. 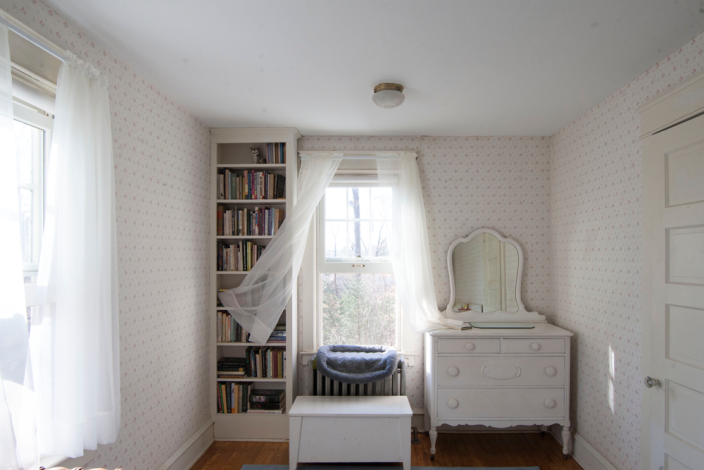 For years, this house has been filled with books that were loved, read and re-read by its owner—a retired teacher who, with her late husband, raised two children here. When Jaithan and I gave her a copy of our own book, she knew we’d love her home just as much as she had. Congratulations on such a great house! Can’t wait to see what you do with it. Another adventure together. Aren’t new beginnings wonderful? Congrats again. OOOH! I love Main Line houses, towns, mood… And I love Philly! 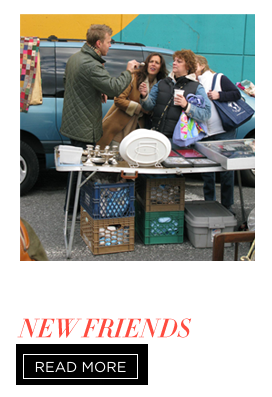 I grew up in Europe and find that Philly has a distinct charm that’s so Americana… There are great restaurants, reasonably priced, easy parking and great gelato–Capogiro’s–along with fabulous thrift stores scattered about the area. Best wishes for your new home that will soon house all the contents squirreled away in PODS… Congrats to you both! When the renovation starts, whatever thing you don’t want from that house, you can email me, I’d love to go there and get it!! Congratulations on your new house. I love the colonial look. You have a great project ahead, keep us posted with the beautiful transformation your are planning. Nice home! Really like it! Can’t wait to see you featuring Boca do Lobo in one of your articles! What a stunner….you guys are going to make it amazing I’m sure! Can’t wait to see you soon in CLT! Congratulations!! What a treasure of a house. Love the bones and authentic details. Will be watching along here and on Instagram to see how you remake it for yourselves. Wishing you much joy on this new path! I nearly fell off my chair when I saw something in my inbox from you!! Wow, so happy to hear from you, to know you and Jaithan are doing well, and to see the beginnings of your new home project. I lived in a Sears house in Cincinnati years ago, and can attest to their solid American plans with big windows, nice sized rooms, and thoughtful features that should have continued into the space age. For instance, we had a water cooled air-conditioner system that not only cooled us, but provided water for our yard. Every corner of that house was functional. Your house is more elegant in design, and I can hardly wait to get updates as you make it all yours. Congratulations!! And thanks for remembering your past and loyal followers as you forge into the future. Congrats on the move. Lots to see and do. 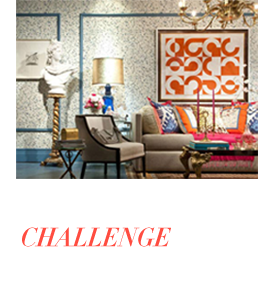 Hope you make it to Longwood Gardens and Winterthur. Peddlers Village and New Hope are great shopping destinations. I’m so in love with the house, I can see why you bought it! Congrats!! I cannot think of anyone more suited than you & J to embellish this lovely home more. I cannot wait! And, do hope there are lots of IG posts or blog posts showing us your journey! xo from Texas! Aw Eddie — so very, very happy for you & Jaithan. You’ll infuse this pretty house with soul, quirky charm, gorgeousness and lots of love. Best wishes on your next adventure. congrats! We lived in an exact copy of this house in Indiana. We were told that there are many similar homes, because it was built from one of the first commercially available predrawn house plans 🤓. We spent 10 years rehabbing it, so I will be interested to see what you do with it! thrilled for you both! let that journey begin, glad to be along guys! Such a lovely pick Eddie and Jaithan. I am so looking forward to your magic. Your blog transports me to another side of the world and for that I say thank you. 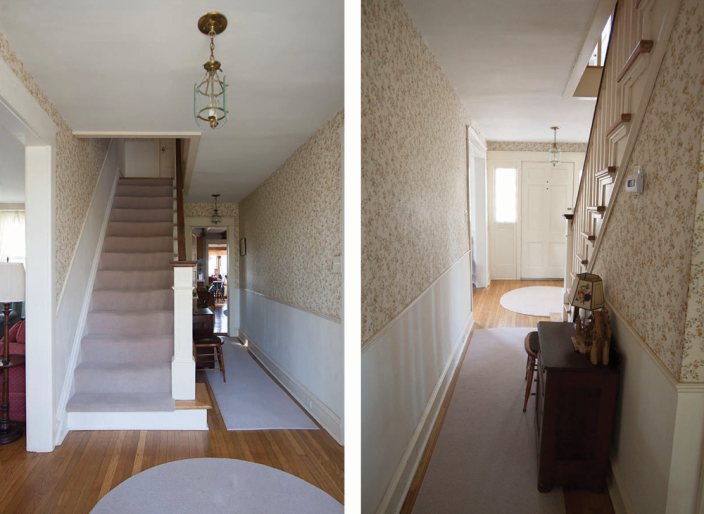 Love your upstairs hallway. It is a lovely place. Don’t forget the Vassar show home in the spring. The Philadelphia flower show and “down the shore” in the summer. So happy to get a glimpse of your new happy ever after fixer upper. I’ll be in Philly area on book tour for THE WEEKENDERS in late May. Let’s junk! Congratulations on your new home Eddie! Your new home is really stunning. Every and every corner is having its own unique grace. I liked this off-white color scheme and the beautiful stairs area. So happy for you & Jaithan! Can’t wait to go on this exciting journey with you. Congratulations! I can’t wait to see the two of you make the house into your home. Enjoy! Hey Eddie! 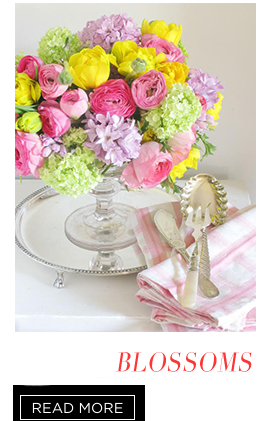 I’m new to your blog and I love your new home! I’m looking forward to seeing the renovation! Yikes, that wallpaper! Congratulations! 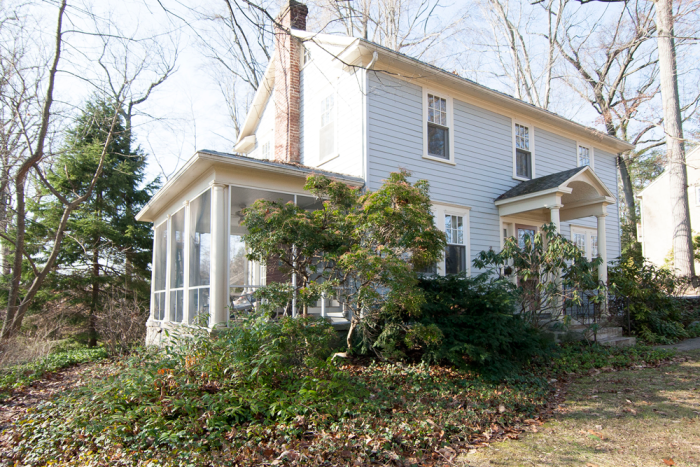 The two of you will create design magic in this home. I can’t wait to follow along on the adventure. So excited for the both of you!! I feel so happy to somehow be included on your endless list of fans. The house is in love again too. You both will have so much fun as you make this already beautiful house just as you want it to be. You are gifted gems of people and thank you for sharing your rare talents and eyes!! Love and I will adore following you two!!! What a place! Really look forward to seeing how it evolves… Love the mosaic bathroom floor tiles. What a gorgeous house! I can’t wait to see how you make it into your home. Congratulations on such a great house! It looks lovely. Wishing you all best with wonderful decorating moments. Welcome to the Delaware Valley. 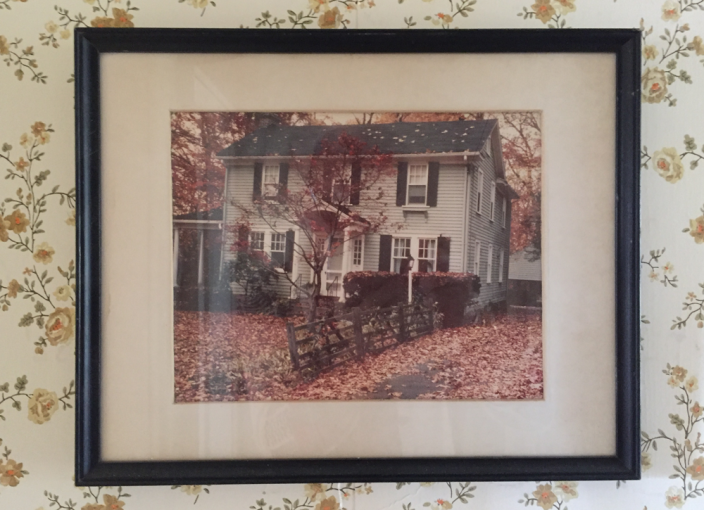 I grew up in Philadelphia and your new home brought back warm memories. Enjoy every day in the Main Line. Congratulations to you both, looks like a the perfect gem! And such lovely wallpaper and historical details, can’t wait to see how it will evolve with your touch!